How to Fix the Dark Shadows in Photographs by Retouching? As technology leaps to the next level, people’s notion on perfection grows along with it. Any minor error or slipup is looked upon with microscopic eye and corrected then and there. The same thought process is also carried into photography and related digital skills like photo retouching and image editing. It’s true that we can’t control a few hindrances during photography sessions and, errors are common even if we have advanced cameras and equipments to cut down errors. Photo retouching is one technique that many photographers rely upon these days as they have to deliver picture perfect images to their client. Most photo retouching works are used in magazines, wedding photography, advertisements, product photography and other commercial image needs. How many of us know that photo retouching was in use right from when photography walked its baby steps? The only big difference that those old techniques had is the manual skill. 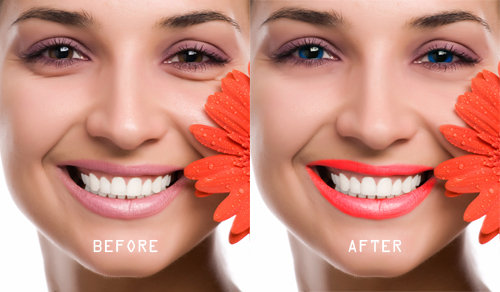 Photo retouching these days are done by image editing software that are available online and as paid tools. Editing the images after taking the print out of them with manual methods was of great value those days. Photo retouching involved, adding people and different backgrounds to the original image. Though the manual skill had a lot of limitations, unlike today’s technology driven photo retouching tools, those old works are treasured. Many times, it is the dark shadow that spoils great clicks, and it has become obvious that these natural hindrances can be overlooked with photo retouching. Any photographer who feels that the beauty of good shots that he/ she captured was ruined because of bad lighting and excessive shadow, it is easy to remove it in a jiffy with Photoshop photo retouching techniques. It’s time to explain a tactics that helps in photo retouching for shadow removal. As a first step, open the image that requires photo retouching and choose Image –> Adjustments –> Shadow/Highlight. Adjust the amount of Shadow/Highlight by moving the slider correction for your Shadows and/or your Highlights. The above step must give necessary effect. However if you would still require better photo retouching to remove the shadow, click the Show More Options check box at the bottom of the dialog box. Now increase or decrease the range of tones adjusted in the shadows or highlights to light up the darker areas. These are a few of the photo retouching tips for Photoshop and there is no fixed markup for making the adjustments as they are achieved in trial and error.